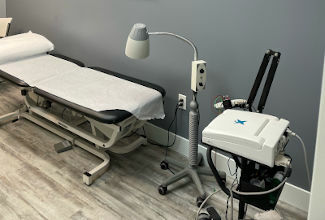 West Michigan Rehab & Pain Center (WMRPC) is a multidisciplinary pain and rehabilitation institute that embraces the wholeness of natural pain treatment and cutting edge diagnostic techniques. Working under direction of Ramin Rahimi D.O., a board certified physical medicine and rehabilitation/pain management specialist, WMRPC includes two Grand Rapids state-of-the-art medical facilities with full-time specialized medical providers. Offering its patients an all encompassing variety of pain and rehab services, patients can come to one facility under the direction of one physician to be treated for all pain/rehabilitation related issues. Each rehabilitation center offers a full-range of on-site physical and aquatic therapies dedicated to providing pain/rehabilitation treatment, at one location, adding convenience and ease to the examination, diagnosis, and healing journey. Our Dedication to You Has Been Recognized! Awarded “Spine Center of Excellence” by Priority Health, continually since 2007. 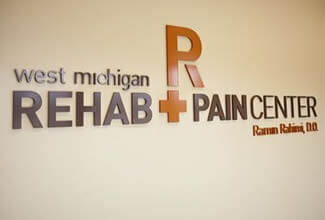 Grand Rapids Magazine named Dr. Rahimi to the “All Star Doctors” for Physical Medicine and Rehabilitation in 2010. In 2012, WMRPC received laboratory accreditation status from the American Association of Neuromuscular and Electrodiagnostic Medicine (AANEM).